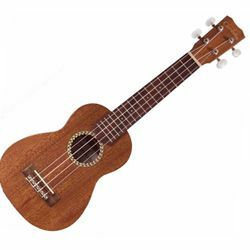 Cordoba's 20SM soprano ukulele sports a mahogany top, back, and sides for big tone from a small instrument. The 20SM is handbuilt by Cordoba in the traditional Portugese style for a great playing experience. And the beautiful detailing on the 20SM, from the wooden herringbone inlay to the chrome tuners with pearl buttons, makes this one uke you'll love for a lifetime.